In September 2018, President Juncker highlighted in his State of the Union Address that it is every European citizen’s right to be able to vote with a full understanding and undistorted perception of the political choices they have. In light of Cambridge Analytica case and fake news, the Commission highlighted main challenges and issued a package of measures aimed at reinforcing the EU democratic system’s resilience, including greater transparency in online political advertisements, a GDPR guidance, the possibility to impose sanctions for the illegal use of personal data in order to deliberately influence the outcome of the European elections and Cybersecurity initiatives. Online platforms and the advertising industry have unveiled on the 27th September a self-regulatory Code of Practice that includes a wide range of commitments to fight online disinformation. The Code of Practice equally aims at contributing to a transparent, fair and trustworthy online campaign ahead of the European elections in spring 2019, while fully respecting Europe’s fundamental principles of freedom of expression, a free press and pluralism. EU institutions took the initiative to provide a guidance on the application of the GDPR. The guidance aims to help stakeholders to apply the data protection obligations under EU law in the electoral context. 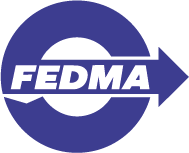 FEDMA members will receive further details in the upcoming Legal Affairs Committee Letter.